Consistent with the new mortgage insurance parameters announced by the Government of Canada on January 17, Canada Guaranty will implement the following product and guideline changes effective March 18, 2011. Mortgage loans with 80% loan-to-value or greater will be subject to a maximum amortization of 30 years (previously 35 years). Canada Guaranty’s Refinance Advantage™ product will have a maximum loan-to-value of 85% (previously 90% LTV). 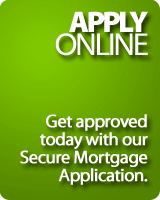 NOTE: Mortgage applications submitted prior to this effective date will be subject to the current insurance parameters. Exceptions will be considered for borrowers who have provided a legally binding purchase and sale, financing or refinance agreement dated prior to March 18, 2011. Should you have any questions regarding the new mortgage insurance guarantee parameters or how they will affect Canada Guaranty’s specific product guidelines, please contact your dedicated Account Executive or speak with a member of our National Underwriting Team at 1.877.244.8422.